Russia’s Ministry of Defense has presented audio proof of Ukraine’s links to the downing of Flight MH17 in 2014. During the press briefing in Moscow, the ministry said that Kiev could destroy documentation for the missile that shot down the MH17 flight in order to conceal the truth. It also said that the missile came from Ukraine's arsenal. Sputnik talked about the new evidence emerging in the MH17 case with Bjorn Ditlef Nistad, who holds a doctorate in Russian history and founded the independent Russian Information Center in Norway. 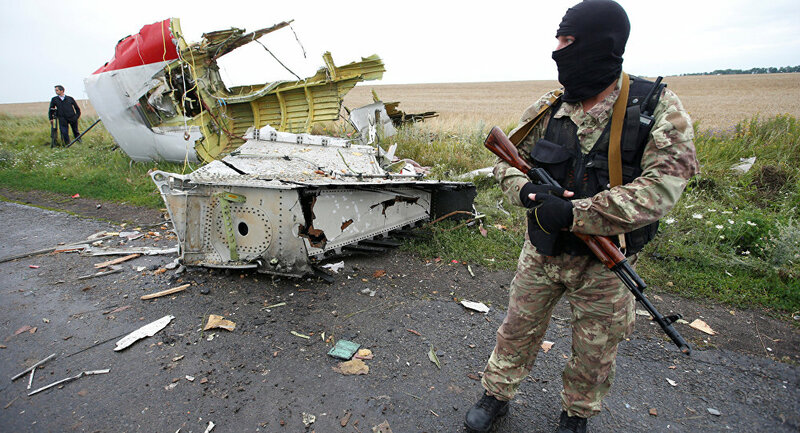 Sputnik: What's your take now on the new data, namely, audio proof of Ukraine's links to the downing of the plane? Bjorn Ditlef Nistad: It's hard to comment on this information because there have been so many theories and accusations, and to be honest I fear that we will never know who shot down this airplane, but what we know is who sent this airplane into a war zone. We know that the Ukrainian authorities deliberately sent a civilian airliner into a war zone. In this war zone, just a few days before, the rebels had shot down a Ukrainian military aircraft, so this was a provocation from the Ukrainian side, they deliberately sent this airplane into the war zone and they may have shot it down themselves or they may have used the rebels to down the plane, we do not know about this, and I fear we shall never know who actually shot down the plane. Sputnik: I agree, you're saying that it's difficult to elaborate further, but do you think this information that the missile was manufactured in Russia but was sent to Ukraine, obviously, it was part of the USSR, it stayed in Ukrainian sovereign land until the event, so it should be really shedding more light on the situation, do you agree? Bjorn Ditlef Nistad: Yes, of course, and this is a big part of the problem, because the Ukrainian army and the rebels, they have more or less the same kind of weapons, they're all Soviet weapons, so it's very hard to prove whose missile it was. Perhaps it's possible to find out what kind of a missile it was that shot down this airplane, but it's impossible to know whether it was a Ukrainian or Russian missile. So I fear that we shall never know who actually shot down the plane, and I think it's more serious to ask who provoked this situation, and there can be no doubt that Ukrainian authorities provoked the downing of this plane. Even if, perhaps, they did not actually shoot the plant down themselves, they are the ones who should be blamed for this, and I hope that one day they will be brought to justice in a trial. Sputnik: I was just about to ask, should there be an international investigation in Ukraine in your opinion regarding this, notwithstanding what you've just said about the Ukrainian authorities, obviously, deciding that it was authorized to send the aircraft into a war zone at the time? There must be question marks regarding that and, with that regard, surely an international investigation should be open? Bjorn Ditlef Nistad: Of course there should be an international investigation, but I fear that the present Ukrainian authorities, they will never allow an investigation, because they know that they will have to face very serious questions which will be hard for them to answer, so I fear that they will just block an international investigation and the Americans and the British will help them to block the investigation, so I feel there will never be an investigation. Sputnik: Russian lawmakers have called for the issue to be raised at the level of the United Nations, is this likely to take place? How likely is such an investigation to happen from your point of view? Bjorn Ditlef Nistad: I fear that it's very unlikely because as I said, Ukrainians will not cooperate with an international investigation and the Americans and the British and, perhaps the French will help them. So there'll be no such investigation, I fear. Perhaps if we get another government in Ukraine, which we hope we will get, perhaps, then we will have some kind of investigation, but today it's impossible. Views and opinions expressed in this article are those of Bjorn Ditlef Nistad and do not necessarily reflect those of Sputnik.